In June 2017, President Donald J. Trump signed Executive Order (EO) 13801, “Expanding Apprenticeships in America,” to promote affordable education and rewarding jobs for American workers through the reformation of America’s education systems and workforce development programs. In response to the President’s call to action, the Delta Regional Authority (DRA) launched the Delta Workforce Program, an initiative designed to build long-term community capacity and increase economic competitiveness across the Mississippi River Delta region and Alabama Black Belt. In partnership with the U.S. Department of Labor (DOL) Employment and Training Administration (ETA) and the Appalachian Regional Commission (ARC), approximately $28.5 million in National Dislocated Worker Reserve: Workforce Opportunity for Rural Communities (WORC) Grants will become available to support workforce training and education in rural communities across the Delta and Appalachian regions. To complement the federal partnership, DRA will host two technical assistance workshops, make available $1.5 million in grants, and offer post-award technical assistance to grantees. 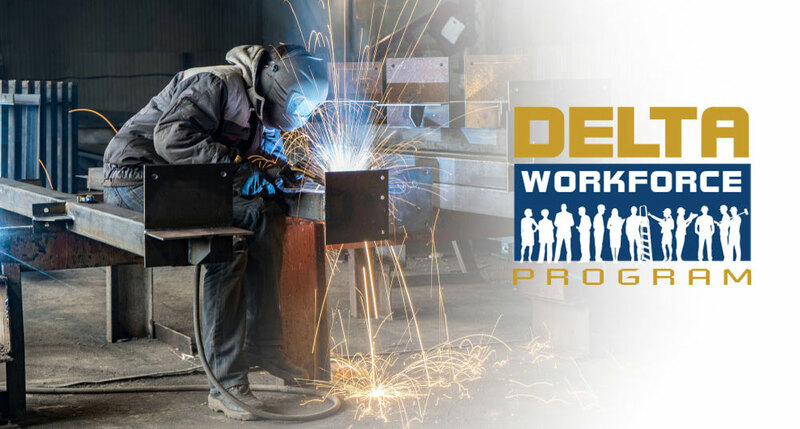 The Delta Workforce Program will prioritize investing in communities and regions that have been negatively impacted by economic transition and recovered more slowly to help build their workforce pipelines and strengthen their economies. Potential applicants are strongly encouraged to attend one of DRA’s technical assistance workshops. Guided by subject-matter experts and workforce practitioners, these workshops are designed to provide stakeholders with the systems, resources, and tools necessary to develop and implement comprehensive workforce development programs. Space is limited. Those interested are encouraged to register by May 21 for Memphis and May 23 for Baton Rouge. All eligible applicants must apply for projects that operate in or are serving residents and communities within the 252 counites and parishes of the DRA region. Successful applicants will be eligible for up to 50 hours of intensive technical assistance from select partners and DRA staff. More information will be made available when DRA’s Request for Proposals (RFP) is published July 1, 2019. More information will be made available when DOL-ETA’s Funding Opportunity Announcement (FOA) is published in May 2019. For more information about the Delta Workforce Program, please contact Aury Kangelos at workforce@dra.gov.